One thing that I learned over this period of time or perhaps remembered is that there are really three different types of family in your life. And you truly need all three. First you obviously have your blood family. For some of us that is a good thing and some of us that is a bad thing. Some of us don’t like the family we were born into and others of us love them. Here is the deal with blood family. You might be able to distance yourself relationally and geographically but you can never get rid of them entirely. Every time you look in the mirror they are staring back at you. They are a part of you for better or for worse. In my case I love my family. No we aren’t perfect. Yes they can be annoying. And Yes we have made tons of mistakes. But I miss my family a ton. My parents and brother Dan are 6 hours away in NJ. My brother Don, his wife Sarah, and their son Levi are 14 hours away in Atlanta. So when they come for a visit I want to spend as much time with them as I can. Below is a picture of my family. My mom has been here this week getting in some serious grand baby time. She got to meet her 4th grandchild and has been hanging out with my 3 kids all week. She got to take Charlotte to the fair and enjoy some one on one time. After all she had to wait 26 years to have a girl! It is the best! Here is a pic of them on the Ferris Wheel. These relationships are crucial for myself and my kids. They let my kids know they are part of a legacy. They have something larger to live for then just themselves. Having parents and grandparents in your life gives you a source of wisdom that is important as you grow. 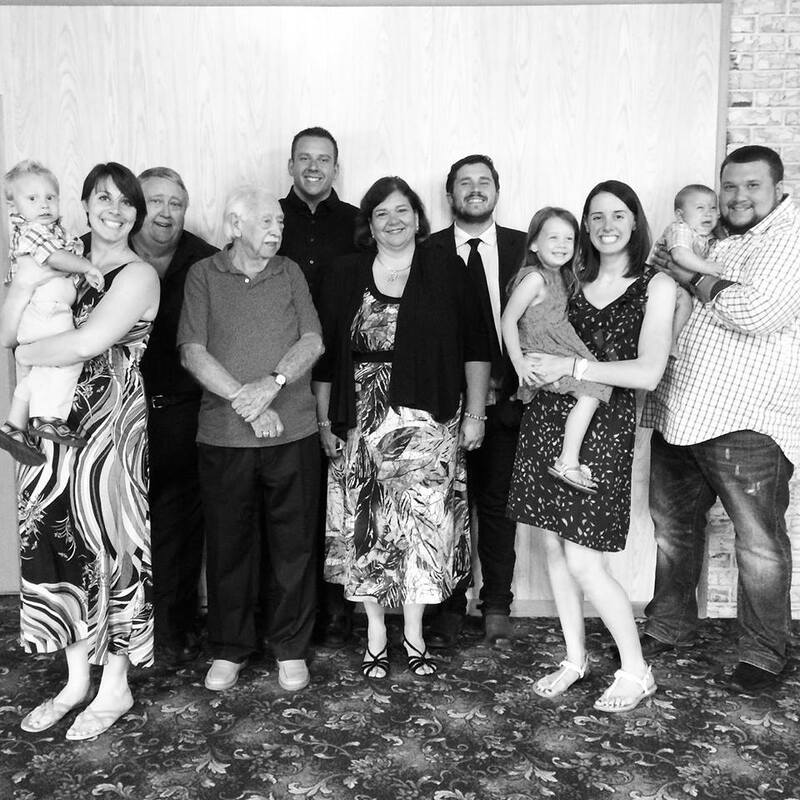 Families were designed to be multigenerational. You see it all throughout the Bible and secular history. When you remove the older generations from the younger generation geographically or relationally it short circuits God’s design for family. So do yourself a favor and pick up the phone and call your parents or grandparents. Do it right now. Don’t even finish reading this. They miss you. They really do. Call right now. Now that you have made your phone call let me tell you about the second family that you have. You have your extended family. I am married to my wife, Sam, and all of her family became my family when I did. I picked up a second mom and dad, two more brothers, and a sister. I also got a bonus with all of this too. I picked up two more sisters as Sam’s brothers are married and another Brother last September when Sam’s sis married her husband. (Happy 1 year Anniversary Andy & Melissa!) I also have the huge blessing of having a nephew and niece too. 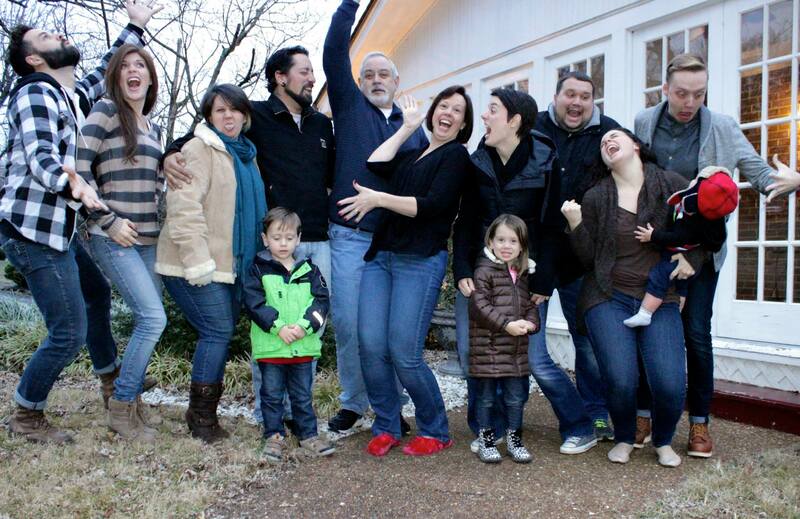 Below is my crazy extended family! Just like my family, I love when they come for visits. It is so refreshing and enjoyable. We laugh a lot cause my wife’s family is crazy fun! They love on us, on my kids, and bring a genuine warmth to our home when they are here. Recently, Sam’s sister came for a week and got to be here for the birth of our son, Ben. It was truly special to have her here for that week and to be in the delivery room with us. An experience I am sure she will truly never forget. 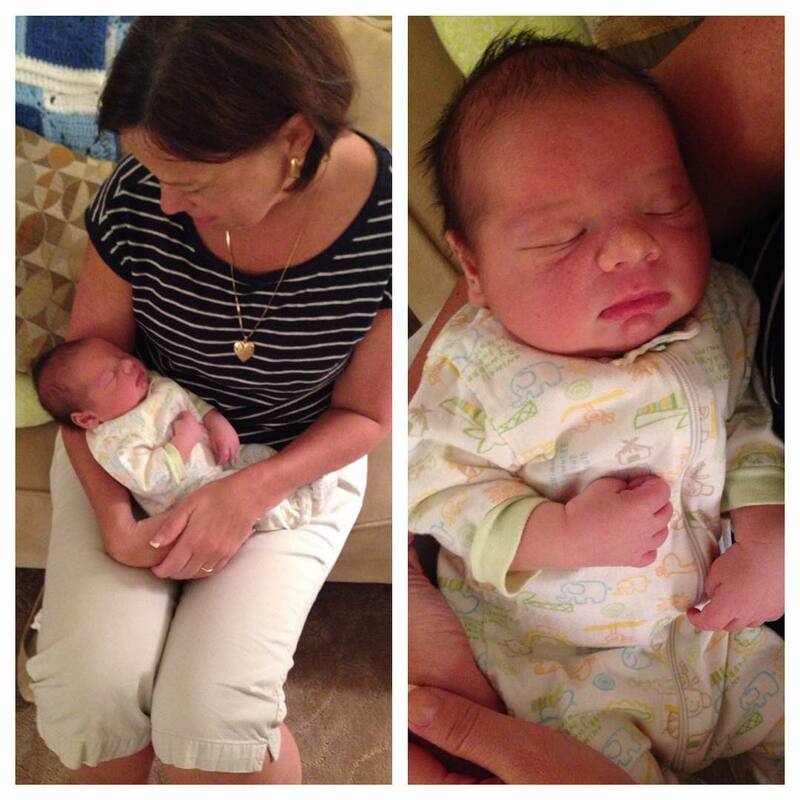 Then Sam’s mom came and got to meet her 5th grand child. She was such a big help for my wife, myself, kids, and around the house. She is a gem. Below is a picture of her and Ben. Your extended family that you married into is just as important as your blood family. First of all, don’t complain about them because you picked them! Their personalities and quirks make your family richer. Your children and your spouse need you to love, work on relationships with, and to enjoy their family like you enjoy your own. So, if you don’t like them get over yourself. Try something new and send everyone a card, just because. Or if you are close enough call one of them up and taking them for a coffee. Whatever you do don’t neglect your extended family. The last family that I got to experience over these last few weeks was my church family. Everyone from Bridge of Hope that came to the hospital, cooked meals for us, sent us cards and gifts, and loved on us are so special. Thank You! Church family is so important, especially for us because we are hours and miles away from blood or extended family. They become extensions of our parents and grandparents to us. We are so thankful for them. 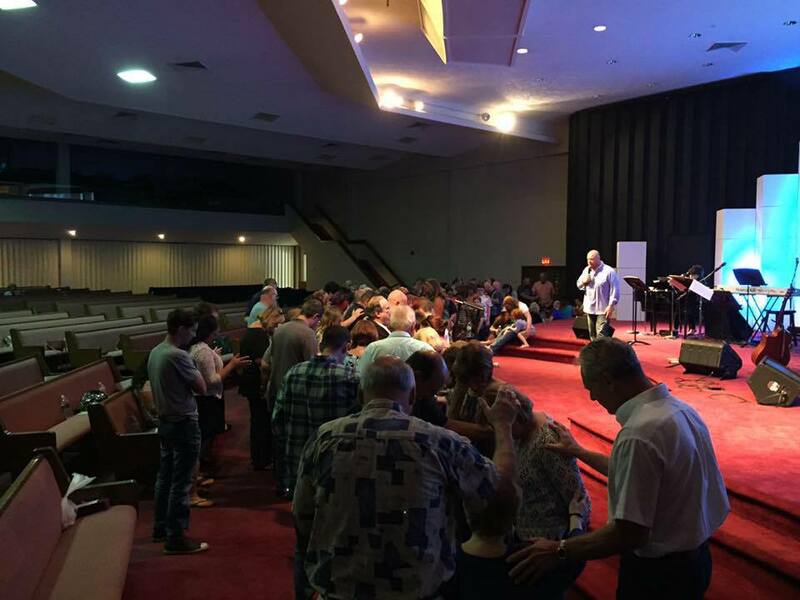 Below is a picture of some of them praying for our students and teachers at a recent service before they head back to school. Your church family is important because they will be there in your happiest moments and your darkest moments. They are the folks that will go to war for you in prayer. They are the ones that bring you meals when your sick or down. They come visit you in the hospital. A Church is supposed to be a family. If you aren’t a part of a church family you need to be. It is vital to your success and growth as a person as well as your family! Family is vital to each and everyone of us whether we are talking about our blood family, extended family, or church family. You need them and they need you.